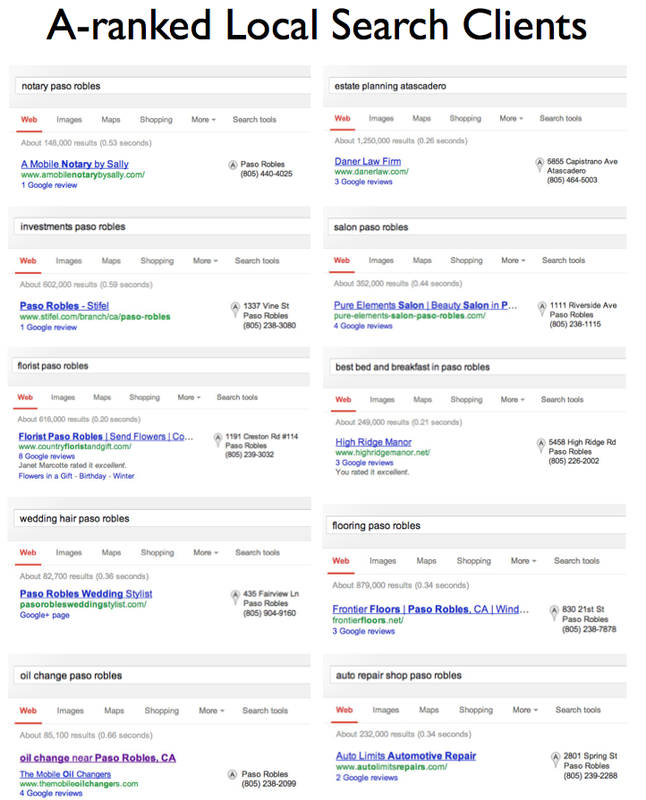 Access Publishing’s new Local Search service helps businesses rank better for search terms important to them. We are fortunate to have dozens of clients that we have helped achieve A-rank positions for their top keywords. 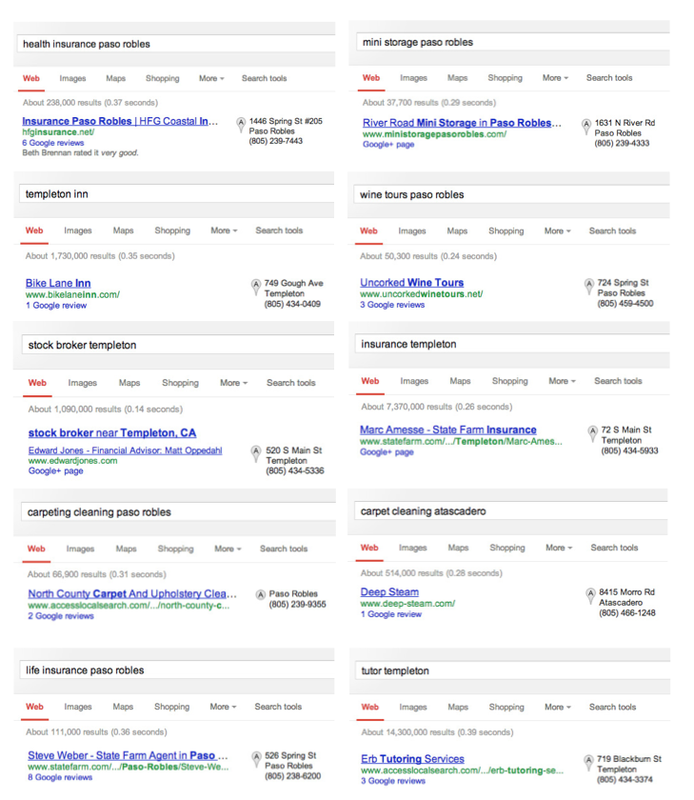 These results are from actual screenshots 5/4/13 and edited to show Google+ Local ranking. 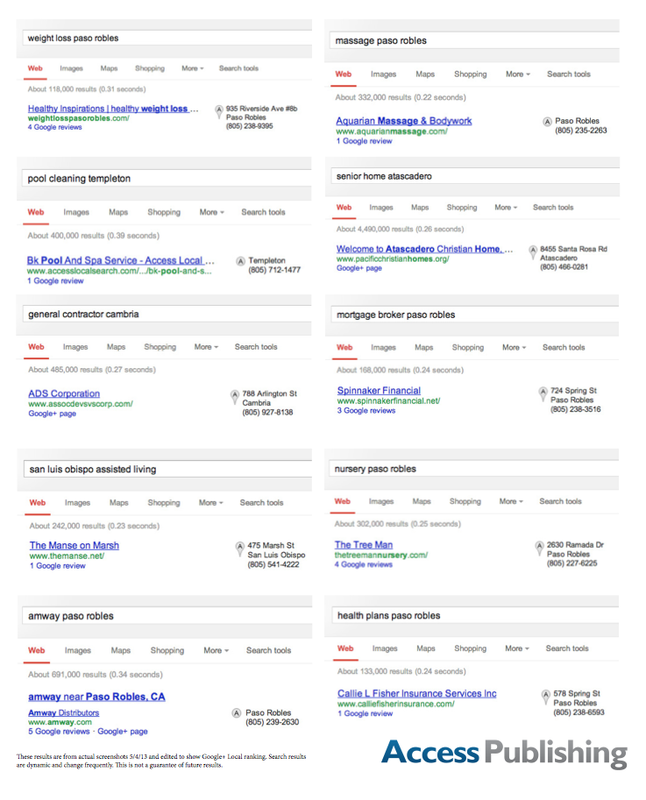 Search results are dynamic and change frequently. This is not a guarantee of future results.